BabyBjorn Wooden Toy for Bouncer - Googly E..
BabyBjorn Wooden Toy for Bouncer - Flying F..
BabyBjorn Baby Carrier One, Cotton - Denim ..
BabyBjorn Baby Carrier One Outdoors - Turqu..
BabyBjorn Baby Carrier We Cotton - Orange/R..
BabyBjorn Baby Carrier We Cotton - Cobalt/B..
BabyBjorn Baby Carrier Original, Cotton - B..
BabyBjorn Baby Carrier Original, Jersey - D..
BabyBjorn Travel Crib Light - Dark Blue, Me..
BabyBjorn Fitted Sheet for Cradle - White, ..
3D Jersey - Our newest and softest material is as snuggly as your comfiest t-shirt. The smooth, flexible fabric gently hugs your newborn when you’re babywearing. 3D Mesh - Cool and airy mesh fabric, with an incredibly soft backing next to your newborn’s skin. The mesh fabric ensures good air flow and dries quickly after washing. Cotton - BCI-certified cotton that is stretchy in the seat area and satin-woven to make it super-soft and comfy. 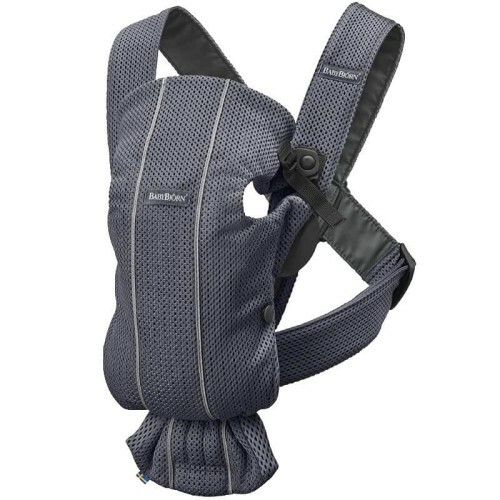 A thin middle layer keeps the baby carrier small, compact and flexible. Carrying comfort becomes increasingly important for you as your baby grows. 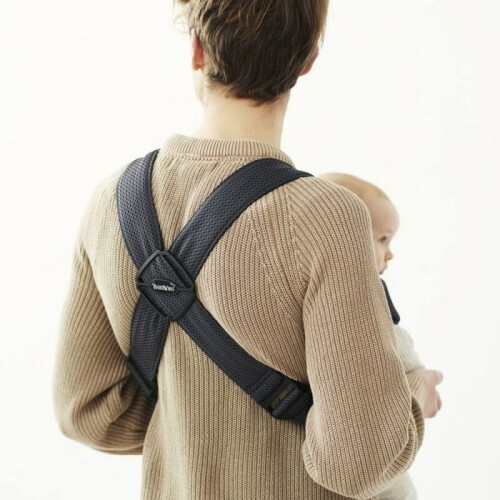 Do you want to be able to carry your growing baby longer or on your back? Check out Baby Carrier One – our best-selling ergonomic baby carrier that has a waist belt and padded shoulder straps, more functions and back-carrying for children up to the age of three. Most suitable during your baby’s first months. Tested and safe for 0–1 years (min. 7 lbs/3.2 kg, max. 25 lbs/11 kg).